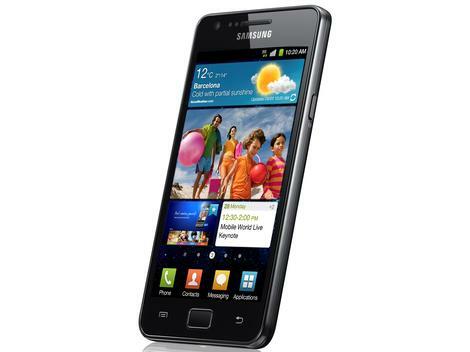 Samsung could launch the Galaxy S2 Plus at MWC 2012 after it confirmed the Galaxy S3 would not be appearing at the show. The latest rumour comes from website An3DBenchXL which displays benchmarking results for a device named "Galaxy S 2+" with the uploader name "Samsung". The results show the rumoured device having a 1.5GHz processor – a step up from the 1.2GHz dual-core chip found in the Galaxy S2. Disappointingly it also shows the Galaxy S2 Plus running Android 2.3.4 which isn't even the latest version of Gingerbread let alone Ice Cream Sandwich, the 4.0 version of Google's operating system. The last hint the supposed benchmarking results provide is the screen resolution which it shown as 800 x 480. This is the same as the current S2, but that's no bad thing as the screen is exceptionally good. Although this report is dubious in its authenticity, Samsung has done similar things with devices before such as the Galaxy Ace Plus and Galaxy S Advance. The Galaxy S2 Plus could be Samsung's attempt to re-fresh the Galaxy brand and build hype before the S3 launch later this year - plus gives it something to talk about in Barcelona.